By Farooq A. Kperogi, PhD. People who know that presidential spokesman Malam Garba Shehu was my undergraduate journalism teacher never fail to email, call, or text me each time his media interventions on behalf of the president ignite a PR storm—such as now. I guess it’s because I’ve stated many times here that he was my most influential journalism teacher. Malam Garba is being severely roasted and chewed up by everyone—Buhari supporters and critics alike— for saying the president is working from home because “rodents have caused a lot of damage to the furniture and the air conditioning units” in his office. One particularly saucy email I received on Wednesday said, “Someone as intelligent as the person you’ve portrayed in your columns shouldn’t tell a lie this dumb.” That’s a little too harsh, but I understand the sentiment that informed this angst. There is no doubt that Malam Garba is one of Nigeria’s finest journalists and reputation managers. You need to know him in his pre-Buhari days to appreciate this. 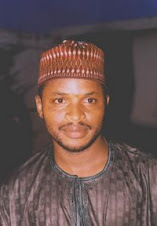 Armed with a BA from Bayero University, Kano, and an MA from the University of Nigeria, Nsukka, he rose through the ranks and became everything that anybody would ever want to become in Nigerian journalism. He was Managing Director and Editor-in-Chief of a newspaper, president of the Nigerian Guild of Editors, an adjunct journalism instructor who trained generations of journalists and journalism professors in Nigeria and abroad, and so on. He also famously managed former Vice President Atiku Abubakar’s media relations with the polish, sophistication, and confident panache of a consummate, accomplished communicator. So what happened? Why has his performance as spokesman of President Buhari been such a damp squib, as the British would put it? Before I offer my opinion, I want to make it clear that, as a personal philosophy and in order not to compromise my independence, I usually keep my distance from friends and acquaintances who have been thrust into positions of political power. So I haven’t been in touch with Malam Garba since he became President Buhari’s spokesperson. I imagine that my disappointment with the Buhari administration, which is evidenced in my stinging censures of the government, must be a source of worry to him. So this column is informed only by my intuition about what I think is going on. There are at least two reasons why current presidential media communication, overseen by Femi Adesina and Garba Shehu, has been remarkably subpar so far. First, it’s obvious that both Adesina and Shehu don’t have a robust, direct access to the president. Directives don’t seem to always come directly from the president to his media aides. It’s usually, it would appear, from the president to a tortuous labyrinth of surrogates before it gets to the media team. Most of the times, it’s actually influential people connected—or thought to be connected—to the president who dictate what the presidential media team says to the public. I recall an incident in late 2015 that left me in no doubt that the president’s media team members don’t enjoy the respect usually accorded to presidential spokespeople. I was having an argument with someone close to the Buhari presidency over something, and he suddenly said, “I will tell the president’s media team to issue a statement to clarify this.” A few hours later, a statement was issued expressing the exact sentiments of my interlocutor who isn’t even officially a part of the government. That blew me away. So, basically, the presidential spokespeople are mere errand boys of Buhari’s shadowy surrogates and a motley crowd of official, semi-official, and unofficial power brokers who pull the levers of power in the presidency. When PR people have no direct, unhindered access to their principal and are left to divine the motives of their principal’s actions and inactions, you can’t avoid the kinds of irremediable PR cataclysms we’ve been witnessing these past two years. Recall how Femi Adesina exulted in giddy, child-like excitement when he received a call from President Buhari from London in February 2017. There is no clearer evidence of the vast disconnect between the president and his media team than that incident. It’s clear that President Buhari has nothing but disdain for the Nigerian news media—and, of course, the Nigerian public—which is instantiated by the fact that he would rather speak to foreign media organizations than speak to Nigerian journalists. Even when he was healthy and vibrant, he had only one presidential media chat—the worst record since 1999. So when the president’s spokespeople are pressured to explain his policies, they are often caught flat-footed, or forced to regurgitate the asinine, unprofessional prevarications of the dolts who surround the president. 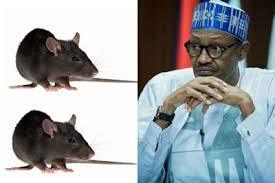 I won’t be surprised if the presidential rodent explanation was whispered to Malam Garba by some low-IQ presidential surrogate. I say this because I know Garba Shehu. He is infinitely more intelligent than his current performance suggests. This is no instinctual defense of a former teacher by his adoring former student. Anyone who knows me would tell you I am not given to such fawning sentimentality. The second reason Buhari’s media team is floundering is that the very foundation of the government it seeks project positively is wobbly at best. It is founded on lies and deceit, as I’ve pointed out here several times. There has been no more unprepared, disorganized, and duplicitous government in Nigeria’s recent memory than this. This fact changes everything. You can’t defend an edifice of lies with truth; the edifice would crumble and crush you. Lies attract more lies and require still more lies to sustain them. A president who won’t lay bare what ails him, who won’t come clean on the tens of billions of naira of our national patrimony he is expending to take care of his health in a foreign land while thousands of people who voted him into office die of preventable diseases every day, who uses his health to blackmail the nation into tolerating and even celebrating his incompetence, and who evinces stone-cold disrespect for everyday people can’t be defended with anything other than fetid lies. If I had a choice in the matter, I would have advised Malam Garba to resign to salvage what remains of his hard-earned reputation, but I also recognize that it’s easier said than done.